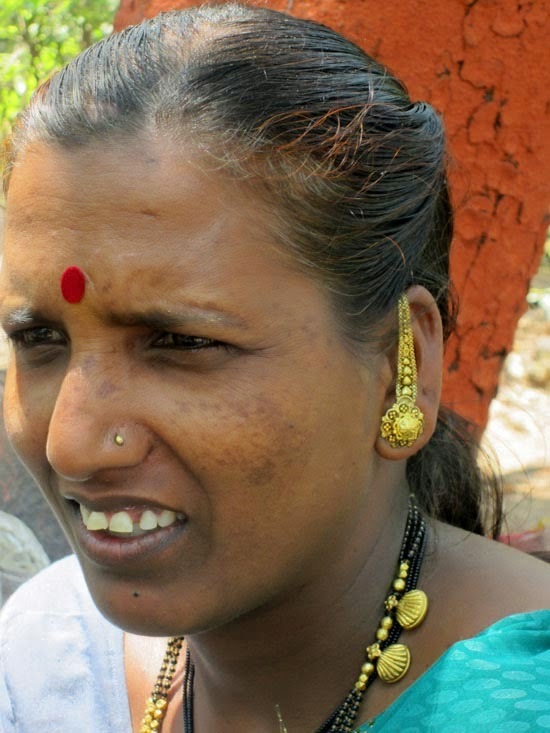 She is a poor tribal woman but she wears her jewellery proudly. A vendor in Mahabaleshwar. Gold is the preferred metal in India. And everyone owns gold, the poor as well as the rich. 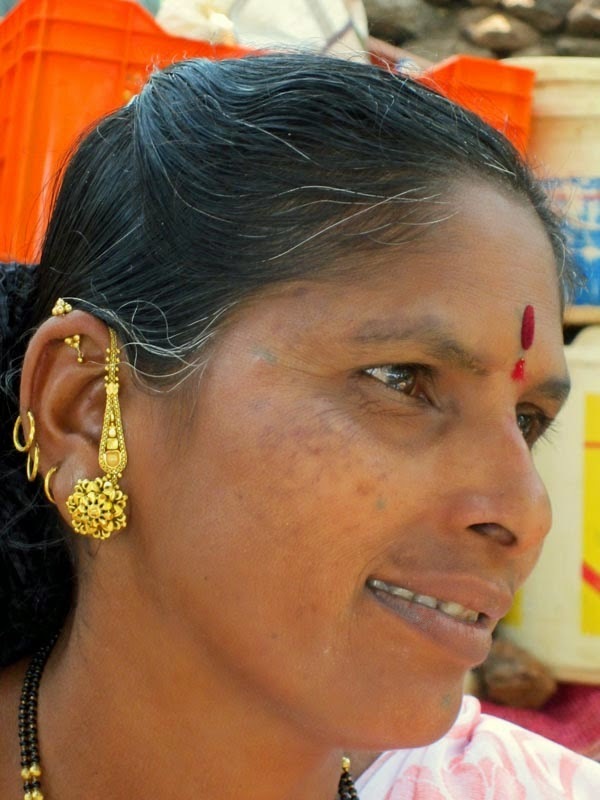 Another lady with her gold earrings and black and white gold mangalsutra. 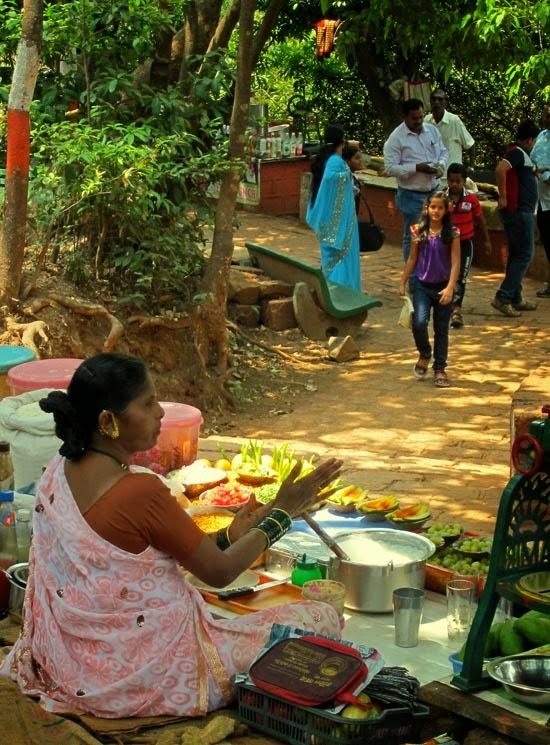 The same woman vendor selling snacks and drinks on a hot day in Mahabaleshwar. More pictures: Tourists buying jewellery in Istanbul, Turkey or Costume jewellery beads and necklaces sold in Mumbai.